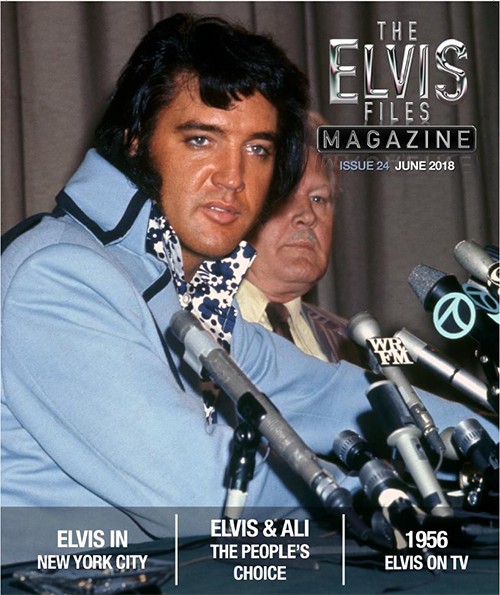 The Elvis Files Magazine 24 - Misc. It's all about New York goes a bit too far, but the main article in the 24th issue of the Elvis Files Magazine is about New York. To be more precise: Elvis' relation with it, from the recordings and TV-shows in the 50s to his triumphant sold out shows in MSG. There's also a big item on Elvis' TV shows in the 50's, with focus on Milton Berle and Hound Dogs. A close look on 1961, a teasing "Elvis For You" by Chris Giles and an article fill the remaining of the mag. As usual the articles are completed with fitting photos in great quality and some great bonus pics from The Trouble With Girls are present too. All together a great balance between eye candy and information.